How to reverse your real estate experience and do it right the second time around. If you’ve had a disappointing experience with your agent and trying to sell your home, you may feel as though you’re in limbo, trapped in a home you’re trying to move out of. You’ve probably decided to withdraw your listing from the market, or to simply allow your listing to expire…so, what now? When a home spends too much time on the market and doesn’t sell, it’s only natural for the homeowners to want to take a step back and regroup and figure out why. When your home is attractive and comfortable and updated and located in a desirable area of town, why does nobody seem to want to buy it? Chances are that the answer may very well lie with your REALTOR. 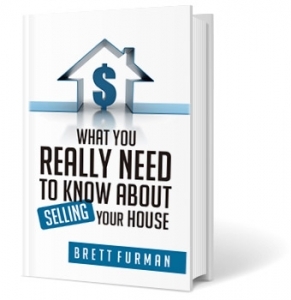 You’re invested in the process of marketing and selling your home…but is your agent? Most homeowners rely on their agent to properly guide and steer them in the right direction in all aspects of preparing a home for market, setting an accurate list price, and aggressively marketing the property for sale. But many home owners may not know what to look for when choosing an agent, which can make it difficult to discern when an agent is working as hard as he should be all throughout the process of listing and marketing your home. Did your agent lock you into a year-long contract? Did your agent offer concrete numerical market statistics and about how to accurately price your home for sale? Did your agent have a comprehensive marketing plan, using photographs, well-written copy, and a virtual tour to give your property maximum presence across the internet, social media, and all real estate websites? Was your agent easy to get a hold of, and available to you via phone calls, texts, and/or email? Did your agent listen to and openly discuss your concerns when your home failed to garner interest? When your home languished on the market, did your agent suggest an alternative marketing plan, a price reduction, or any innovative ways to increase exposure of your home in the marketplace? If the answer to any or all of these questions is “no,” it’s possible that you may have inadvertently chosen an agent without the skills to properly market and sell your home. But second chances do happen! Choosing a skilled and experienced agent makes all the difference between success and failure in today’s competitive market. Selling a home is not as simple as just hiring an agent and getting a property listed. 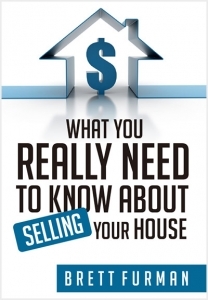 Click here to discover the inside secrets on what REALLY makes a home sell.